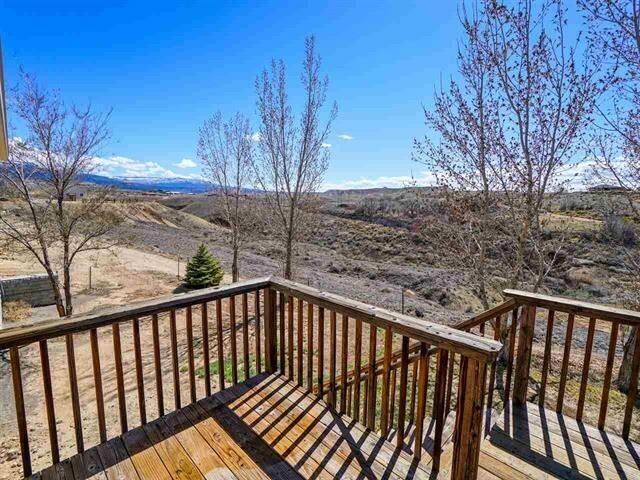 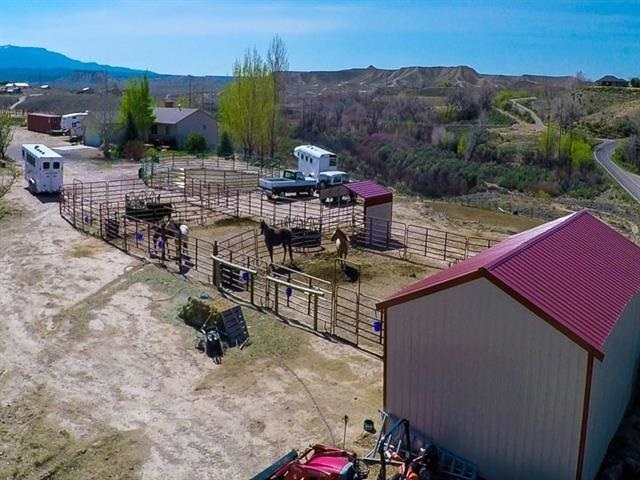 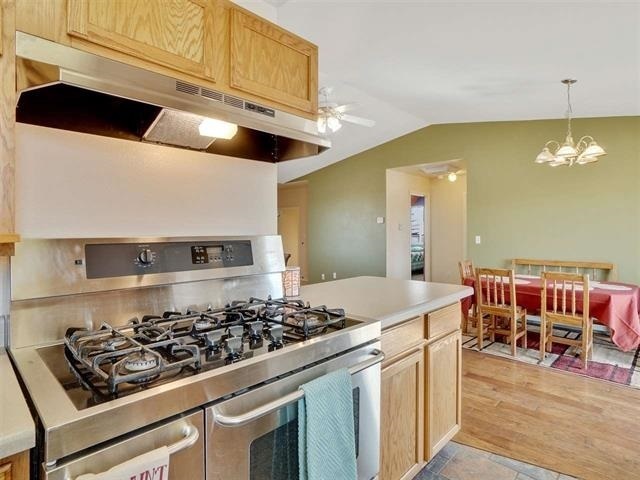 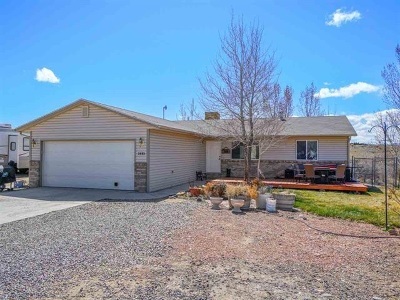 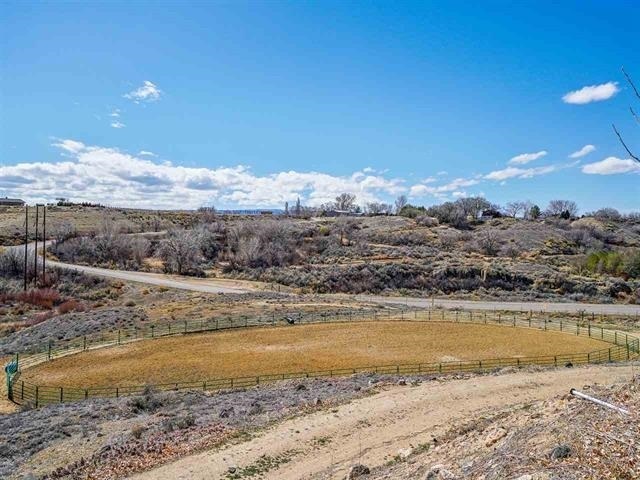 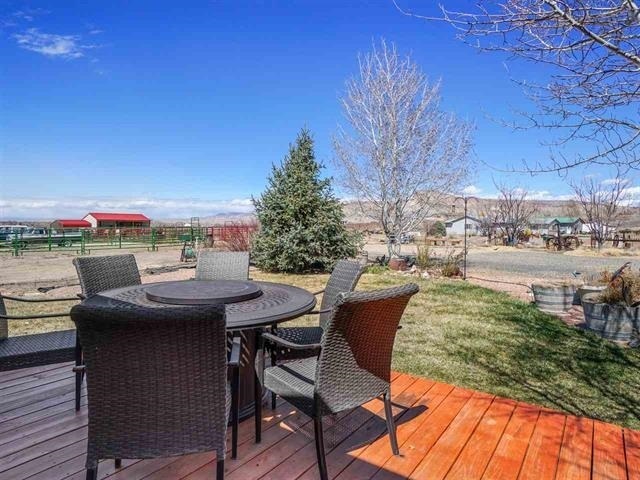 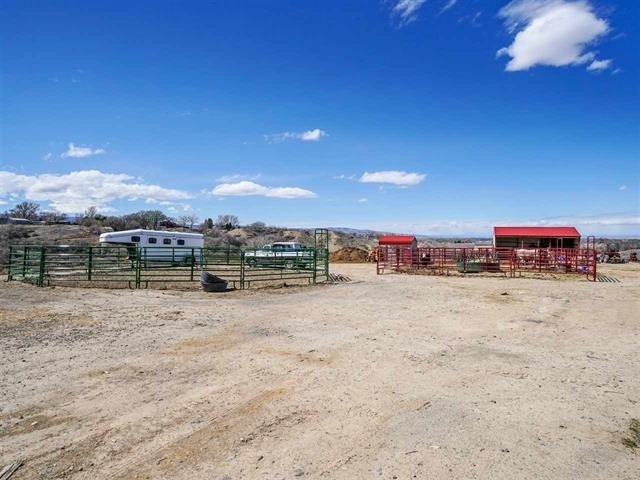 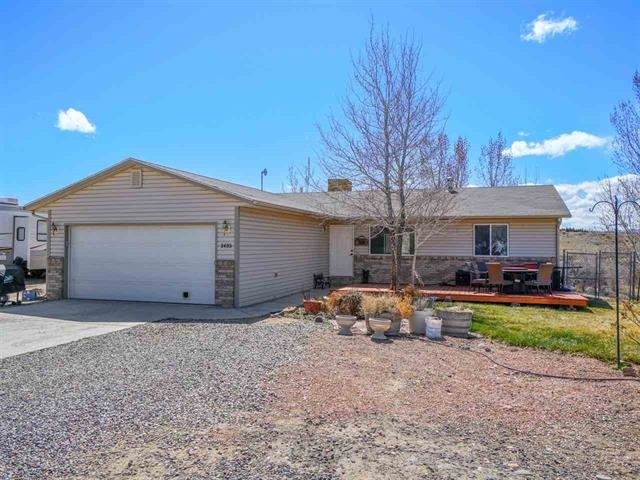 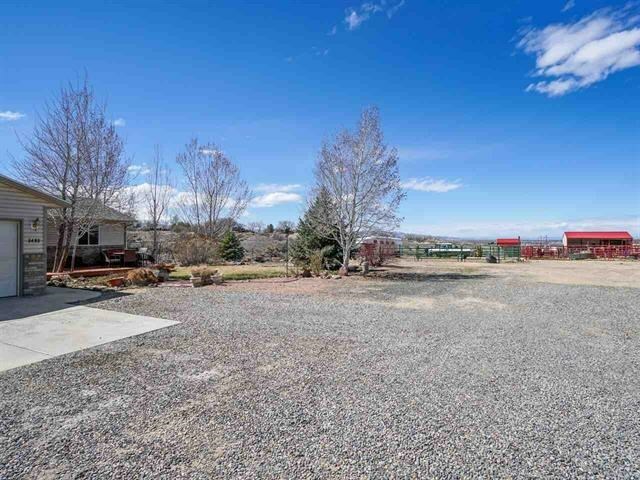 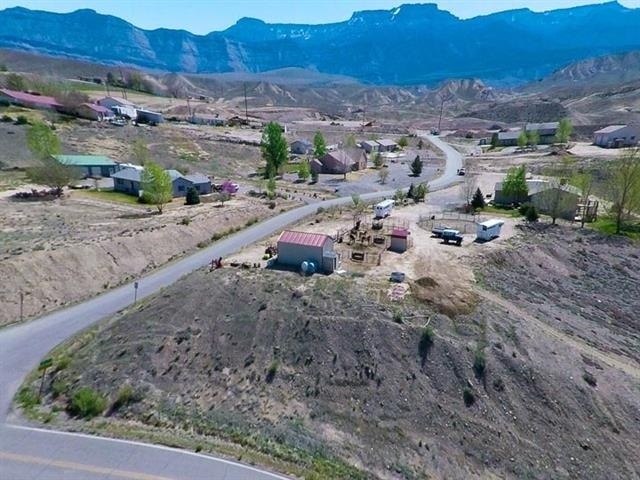 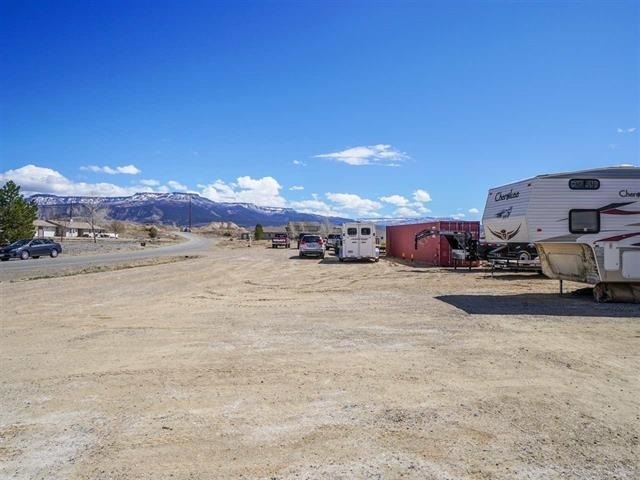 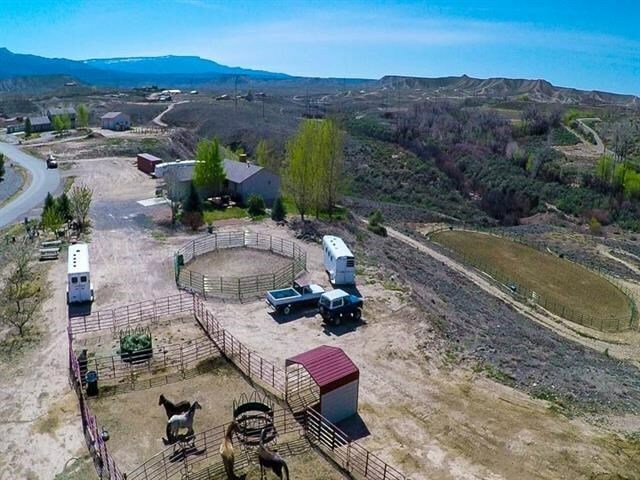 Here is your opportunity for a piece of the country lifestyle with incredible views of Grand Mesa, Bookcliffs and the valley! 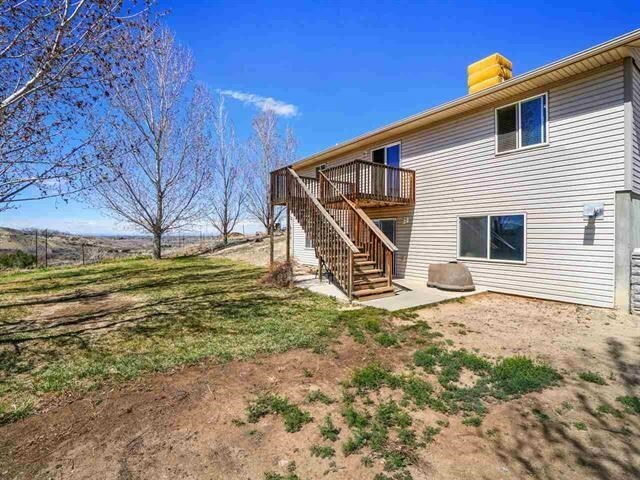 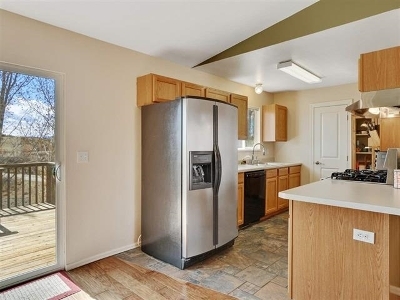 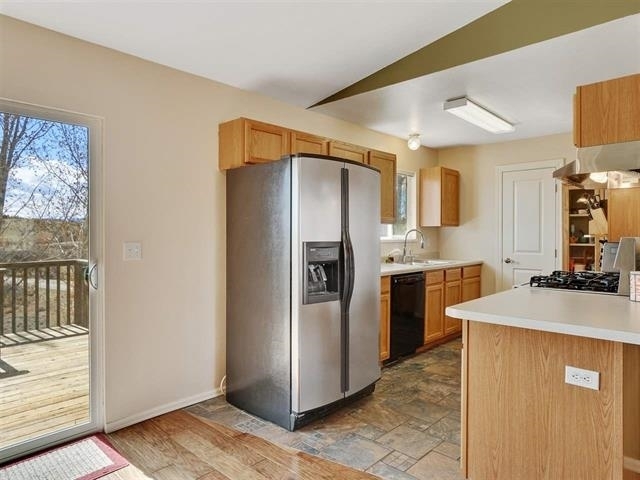 Just over 4 acres sits this 2200 Sq Ft home featuring wood laminate and tile/slate floors, vaulted ceilings, kitchen w/ gas range and pantry. 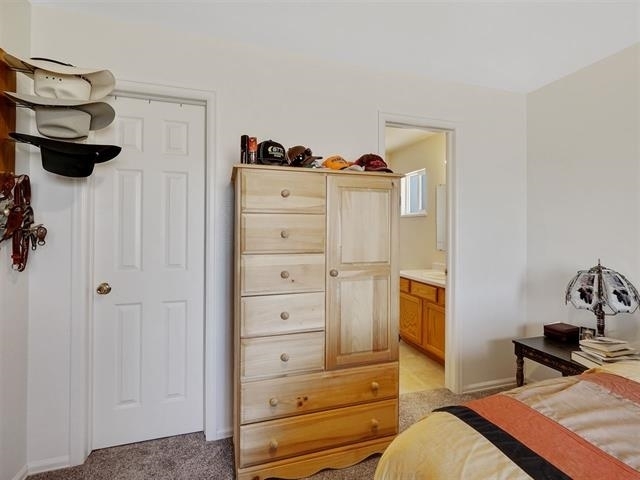 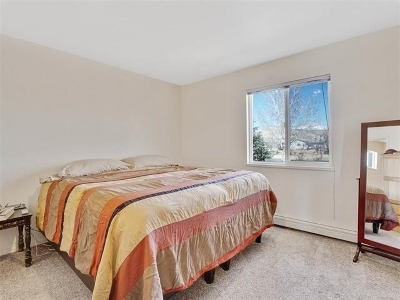 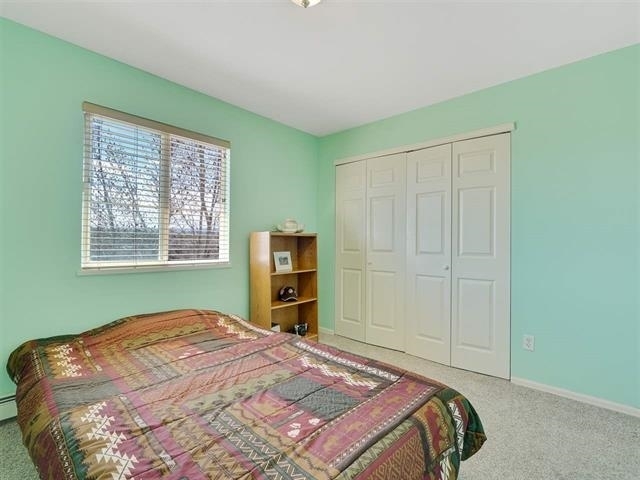 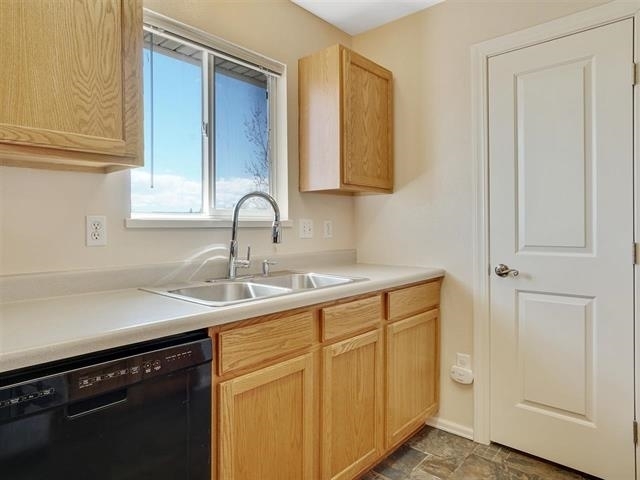 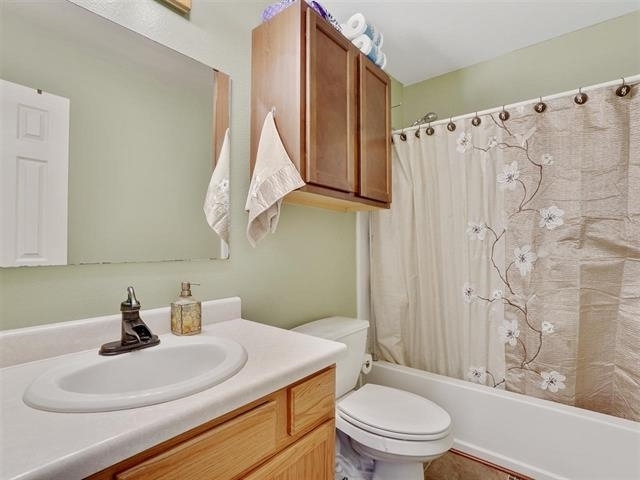 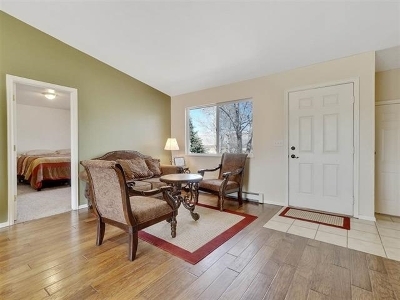 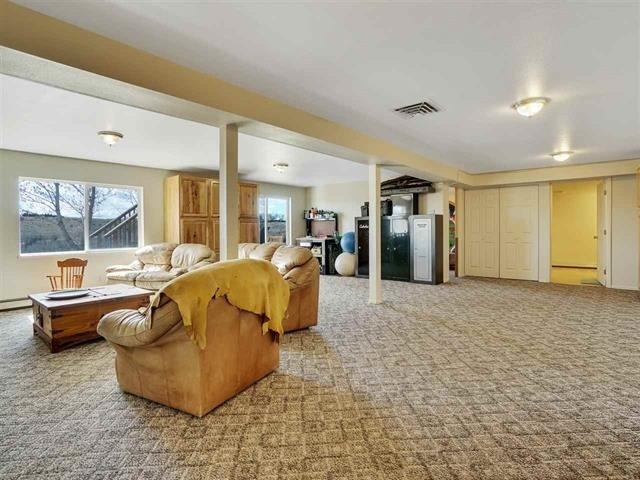 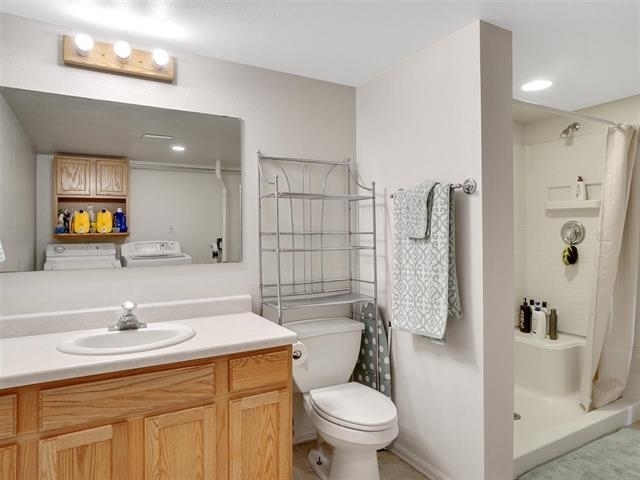 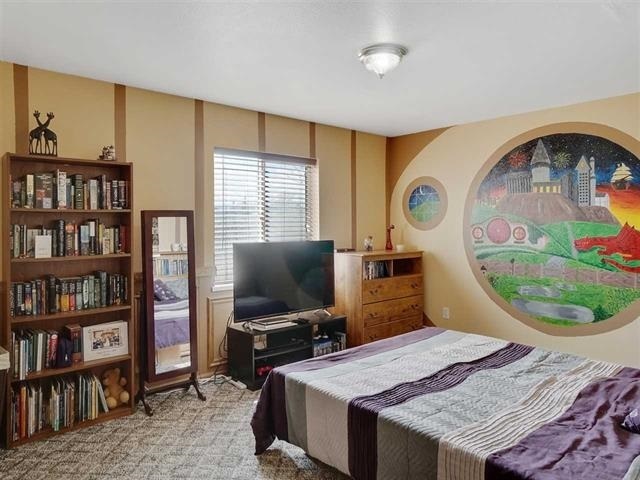 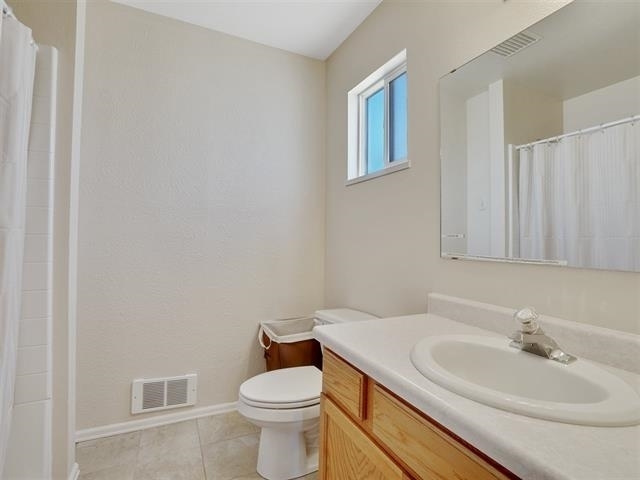 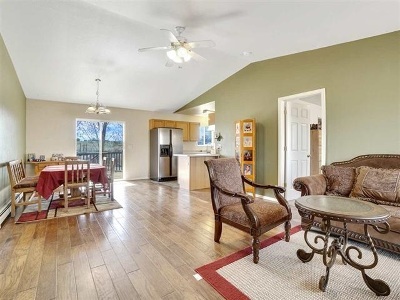 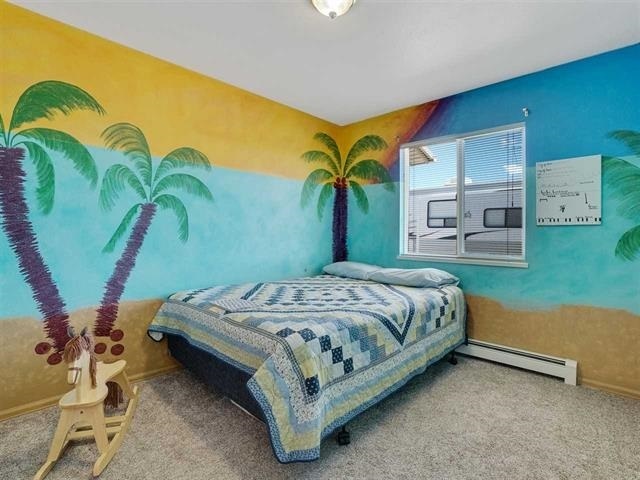 Walk-Out Basement with 25x25 Family/Rec room plus a large 4th bedroom, large walk-in shower and laundry. Huge area for riding arena, corrals, tack room and 3 stall shelter. 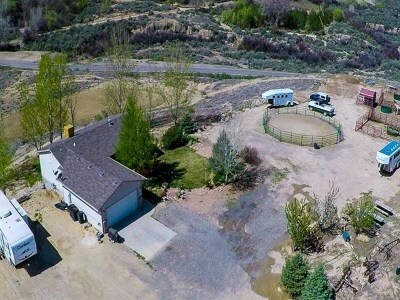 Irrigation is private from neighboring pond.